Innovate or die? Disrupt yourself or pay the price! The challenge of this century is to transform our organisations to adapt flexibly and rapidly to the ever-­changing and volatile environments we face. Giant disruption always heralds huge opportunities. Nearly every industry today faces the risk of technology disrupting their existing business models by taking away their customers or changing the economics of their supply chains. In a world of change, standing still is no longer an option, but participating in disruption also has risks. How can leaders and organisations navigate this? As industries such as finance, tourism, media, retail and education become global, new markets open up. Ideas become reality very quickly – just look at Mark Zuckerberg and Facebook. New entrepreneurs are emerging in major new industries, ranging from social media and big data to biotechnology and neuroscience. Entrepreneurs are innovators. Entrepreneurs are innovators. Businesses and business leaders need to be able to identify, develop and successfully market emerging, disruptive technologies. This is daunting because, as Harvard’s Clayton Christensen observes, “markets that do not exist cannot be analysed”. Leaders need to be discovery-­driven in their strategy and planning. One of the key obstacles to success with this approach is our innate fear of failure. We will have to reduce cost structures while increasing productivity, adapt new ways of working, be willing to invest in what may be potentially disruptive technology and invent business models that challenge old ways of thinking. We must find the great and small ideas, opportunities and human energy to create our future success. We have to maintain our commitment to creativity, innovation and growth even as we leave behind established business and market models that have served us so well in the past. We need to be willing, able and brave enough to lead the way into a new world. 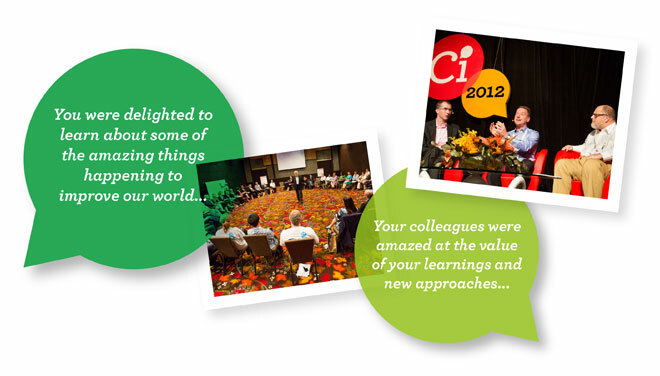 Ci2015 is a place where you can gain insights into how you can do this in your organisation, your profession, and your life. 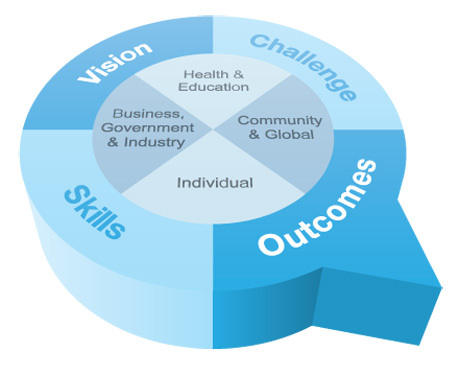 This theme will be addressed at the personal, organisational and global level across the major sectors of business, industry, community and government. 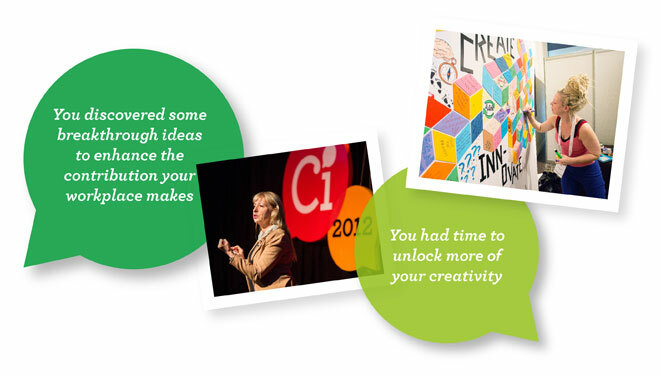 Sessions will allow delegates the opportunity to expand their scope of creative understanding and learn new strategies whilst also leveraging their innate, but sometimes hidden, right-brained creative capabilities. Artists in residence will create moments of non-verbal content that help to change traditional mindsets. 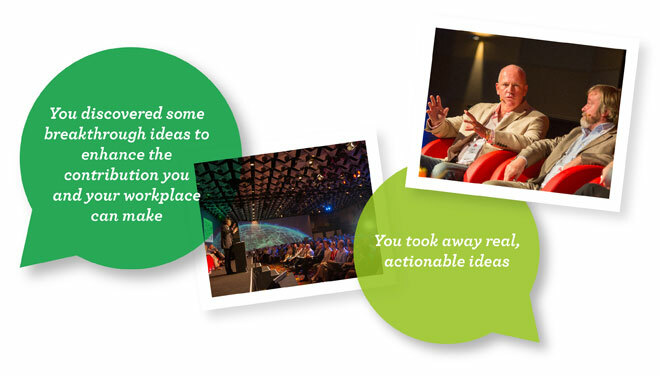 Using innovative audience interaction the sessions will provide an exchange between presenter and audience. The one-way communication presentation style that stifles many conferences will be transformed by world class dialogues, facilitators, performers, provocateurs and “hot spot” debate centres. The theme will also facilitate a Deep Conversation around important and challenging issues we face. 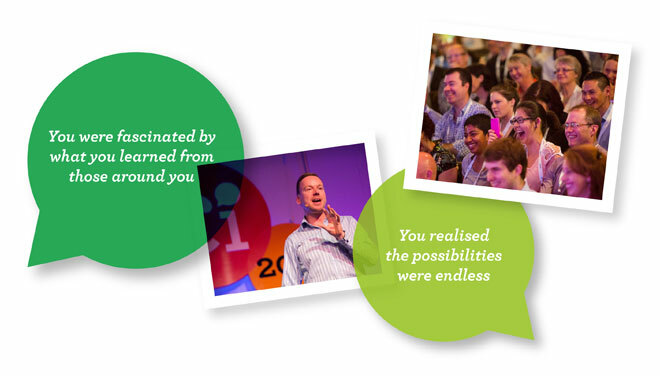 A series of Master Classes with leading facilitators will enable delegates to take away new strategies and inspiration into their work and lives. 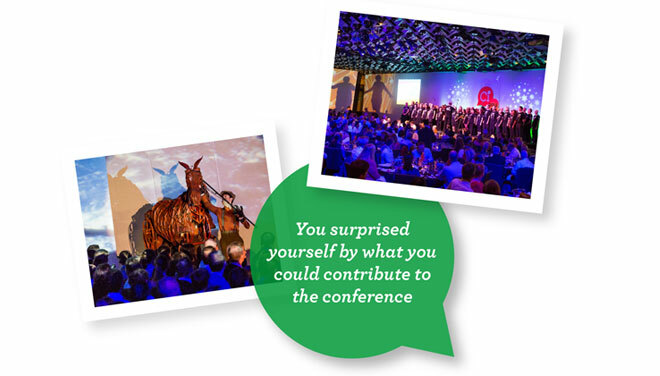 The Gala Dinner will feature discussion, world class speakers and entertainment and will allow for plenty of time for further networking and conversation. Why the Asia­ Pacific focus ? There is a growing focus on the Asia Pacific region from participating organisations. European and U.S markets are shaky and our future sustainability and growth rests on relationships we build with the Asia Pacific region. Creative Innovation has been proven in Australia and is becoming a draw card in Asia with increased enquiries and participation. 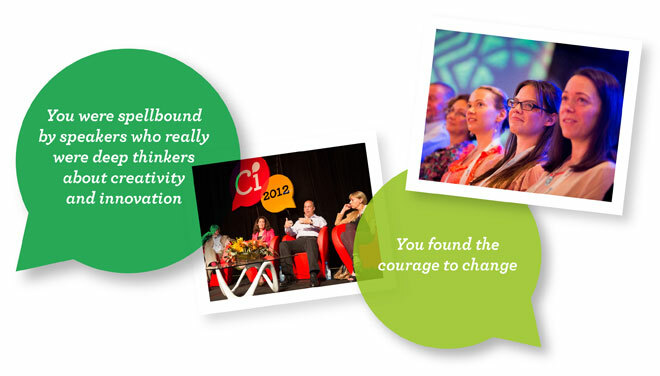 Creative Innovation 2013 Asia Pacific was named Corporate Event of the Year in the Global Eventex Awards.